The credit crunch still bothering you? I wouldnâ€™t be surprised. Despite the positive aura that a lot of people had at the beginning of the year, things do not seem to be getting that much better. It seems that we still have to face the worst before things start looking up. If you are having problems finding the money to enjoy your favorite cigar, I have an alternative for you â€“ Greek cigars. I actually read about these cigars from a report by the Associated Press, which talks about Domenico Cigars. This company is based in Greece but their seeds are from Cuba. The people behind the company also have gotten their knowledge and other cigar making secrets from Cuba itself. As a result, their cigar quality is almost comparable to some of the best and most expensive cigars to be found these days. Truth be told, the cigar industry in Greece is very young, a mere babe so to speak. The industry only started about 5 years ago in an area northwest of Athens. The climate in this area is hot and damp, making it similar to the Pinar del Rio region in Cuba. 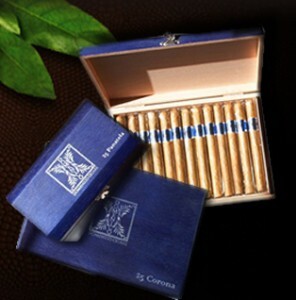 As such, it is not that surprising that the cigars produced in Domenico are garnering considerable attention. Experts state that Domenico cigars do not really match the level of â€œrealâ€ Cubans. Despite the seeds being the same, the soil and weather conditions are not exactly alike. Still, people seem to like them and keep buying them. Maybe you should try one and see for yourself. For the normal cigarette smoker, shifting their smoking agenda towards the field of cigars should not be intertwined. There are totally different smoking materials. For one, cigarettes are smaller in size and not manufactured and prepared in the way that cigars are done. Secondly, cigars are entirely expensive compared to one pack of cigarette. For some cigars such as Cuban or Havana manufactured cigars, the price of one piece of cigar may be equivalent or even more expensive than one pack of cigarette. This is largely due to the materials used in making one cigar roll. Tobacco leaves and storage is different and this can be attested to once they are given the chance to try them out. The manner of smoking is different. For cigarettes they have filters and are inhaled. For cigars, it does not follow that people will inhale them all the time. Chances are they may even get dizzy if they inhale cigar fumes, but there are people who do so, probably because they have been accustomed to doing so with cigarettes beforehand. Mention cigars and a person would instantly associate it with Cuban cigars. Cuban cigars are acclaimed to be the best hand rolled tobacco in the world, being the preferred country where such finely prepared tobacco leaves are found. Cigar production is controlled by the Cuban government where they are rolled in the various cigar factories that are existent in the country of Cuba. Habanos SA and Cubatabaco are known to be the leading groups that handle the manufacturing and distribution of their finest roles produced. Such produced cigars are usually known to be hand made although there are some who also use machines to be able to produce bulk cigars bundles. Ironically, Cuban cigars where introduced in Europe by the very same person who discovered America, Christopher Columbus. He is credited with this distinction from his numerous voyages, something that people are familiar with today. It is amazing that he too is responsible for making cigars known in Europe.